Thankyou Linda Litebeing for bringing this Sense-sational Blogging Challenge into existence. We all need a little inspiration from our friends at times… to help our own creative juices flow in new ways. There are still dates left for YOU to join in this challenge too, so hop on over to Litebeing Chronicles and give up your name… ’cause I know it’ll get your creative juices flowing too. As soon as I had read Linda’s introduction about her challenge, my vision of New Earth played out in my minds eye… and her questions… Which senses bring you joy and delight? and How do they help you live a meaningful life? made me feel excited to share how my senses are expanding and helping me birth myself and New Earth from within. 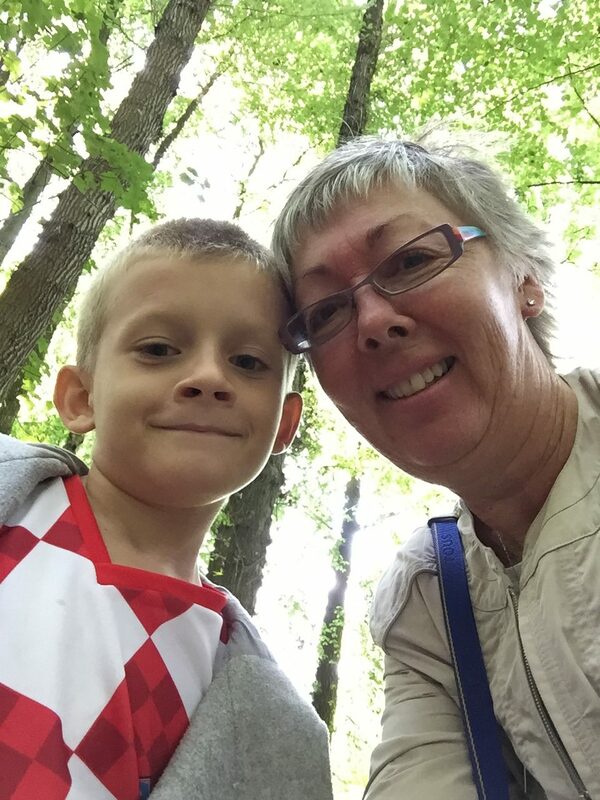 IAM walking with my grandson in a beautiful peaceful natural park, grand trees of all colours and shapes grow so tall, there seems no space between the tallest branches and leaves that are opening up to receive the gift of bright sunlight and the pure bright sky that holds everything together. I marvel at how nature naturally receives and gives light & love to sustain its life and become aware of sparkles of crystalline light… rainbow light… flowing from the sun into the trees… feeding the consciousness of the trees. I know this is also how all Humankind nourish their consciousness… with each breath, light particles fill the Human body/mind that are responsible for feeding the Divine light body. I feel so grateful to be part of this wonderful Human experience and look down at Alex, feeling his warm tiny hand tightly entwined in mine. He’s dragging his magic stick along side him, humming as he makes his unique track in the earth. My heart misses a beat as I feel pure joy within expanding. We begin to notice a great gushing noise and look to our right and see a fast running river. It’s filled with giant Crystal rocks that are causing the water to splash and gush. Tiny clear rainbow bubbles float up in the air around the rocks… as the water and the sunlight come together in a divine dance. We couldn’t help but notice the fragrant carpet of bright yellow buttercups and blue bells covering the banks of the riverside and small animals and insects that were feeding and scurrying around in the shade. IAM amazed how heightened all our senses have become this last year. We follow the trail along the river, we are by now singing ‘follow the yellow brick road’, pretending we are on a magical journey to reclaim our power at an old ruin that stands not too far away. We approach the ruin with caution as we find ourselves walking near deep jagged cliffs… and yes not far ahead on a hilly peak we see a pile of old crumbled stones. There is not much left of anything. We walk over and take a good look at the stones, they are very old and notice a circular pattern they make on the Earth. We walk towards the centre and sit down for a while… to feel this special place and take a good look at the Environment around us. Over the last year we’d taught each other the art of mindfulness, practicing together being quiet, communicating with our Divine Self/Consciousness and observing our relationship with All. This was a wonderful opportunity to take a look at our life and our journey. We closed our eyes and breathed the conscious breathe, opening up to receive our light, feeling it within our body… flowing with aliveness. We embraced everything we felt and allowed our innate love, joy and excitement to consume us. In this state of being we opened our eyes and looked around us, both gasping in amazement as we saw our Environment wobble and change right before us. It was as if we had arrived in another world… a world that felt truly joyous and loving, not just the feeling of our joy within, but it was amplified all around us. Everything was truly alive and vibrating in a harmonic sound. Everything was much grander, brighter, clear… transformed into crystalline pureness. The ruins were now beautiful translucent colours we’d never seen before, the Earth a deep fertile colour of purple and red… the grass, vivid greens so soft… plants, trees and flowers filled the land with vibrant colour, singing sweetly as they swayed in the breeze… the river was wider and clearer and we could see people sitting on the banks, playing in the water, drinking the water. Our senses had taken a quantum leap… we could hear, see, touch, smell, taste and know everything that was happening in this magnificent moment. We were so part of it all and I knew that it wouldn’t be too long before I could live in this way… until I choose to transform again. We sat in awe and indulged in our feelings for quite a while before walking back through the park to have tea with our family. This is how I’ve always imagined my New Earth to be… Sense-sational… All the five Human senses and the Divine sense of all knowing… exaggerated beyond imagination. Yes we were feeling it. It’s real and all because I have had my grand dream and allowed it to come into our physical reality. To answer linda’s questions which senses I enjoy and bring me delight, I’d say all SIX of them… together amplified. With them I can experience the magic of Earth and live a life of celebration. I know that one day my physical world will wobble and i’ll walk right onto New Earth… when its ready to be born, I’m a work in progress even now, but IAM glad of the glimpses I see and the extra-ordinary relationship I have with Alexander. Remember we are all here to Know Self, to express Self, to come back to Self and evolve Self into a consciousness and a reality unknown to Self up until this moment… So lets party with all our senses. Thank you Barbara for an extraordinary offering. I could see myself with you and your grandson as you went on your adventure of spectacular transformation. 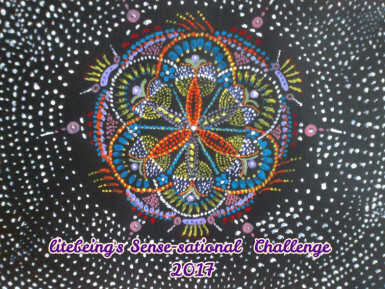 Could you link here https://litebeing.com/2017/10/26/sense-sational-blogging-challenge/ to my challenge post in the body of your blog and also link to tomorrow’s blogger Sue Dreamwalker at the end of your post to let readers know what is next? She is due to post on 11/13. Thank you again for being you and teaching by example. I loved this Barbara, Nature, and our natural senses, as we atune to all that surrounds us, is indeed a delight for the soul.. Learning to listen, See, Sense, and Feel the frequencies we who atune our senses that bit more keenly with the Divine is a honour and a privilege for there is so much to see and be grateful for.. As we fill ourselves up with the Joy and wonder of LIFE in everything we see..
That was such a gorgeous, gorgeous experience! Just like Sue’s post, I could “see” it as you described it 🙂 Thank you for sharing!